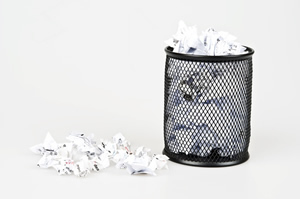 The Department for Food, Environment and Rural Affairs (Defra) estimates that businesses generate nearly a quarter of England’s waste (23.8% if you seek precision!). In 2009 alone, businesses generated nearly 48 million tonnes of waste, of which a little more than half was recycled. But the good news is that between 2004 and 2008 the Commerce & Industry (C&I) sector as a whole has been able to reduce its waste by more than 17%. The shift to digital, paperless offices has certainly contributed to a reduction in the consumption of paper in the C&I sector. However, the flip side is that this sector now generates more “e-waste” in the form of old computers, printers, routers and so on. But the real reduction is driven by the people who work in and manage these businesses. Many of our friends and colleagues have stopped using Styrofoam cups for tea and coffee at work. Instead, they carry their own cups and mugs from home. Such cups add to the personality of the office desk, besides of course helping reduce waste and promoting sustainable living. Like other developed countries, the UK too has been tightening environmental regulations in order to promote sustainability. These regulations seek to control how companies use natural resources such as water and land and how they manage waste. The aim is to encourage innovation around using methods and materials that are less damaging to the environment. Most large companies have formally defined environmental policies and best practices in place. Many of them have publicly declared targets for reduction in their carbon footprint and analysts monitor achievement of these goals as much as they do the companies’ financial performance. After all, the environment is no longer an economic “externality”. The term “corporate responsibility” (CR) is being increasingly used by companies and the media to describe actions that help keep businesses ethically, socially and environmentally responsible. Studies show that companies that take their corporate responsibility seriously have delivered superior shareholder returns even during the difficult economic environment of the past 4 years. That possibly explains why the notion of corporate responsibility has taken root and is growing from strength to strength. Different companies have chosen different ways in which to foster awareness of corporate responsibility amongst their employees. Many have formally established CR policies to cover ethics, sustainability and societal commitment. Most observe “Environment Week” every year, during which there are talks, movies and other activities designed to inform, incentivise and energise people. Others use prominently displayed posters to reinforce the message all year round. Of course, it has been argued that printing posters is itself not a very “green” activity. Companies that feel this way tend to rely on e-mail campaigns and their intranets to communicate their message. In fact, for companies with global operations, their intranet is a good way to share news about what employees from across the world are doing as part of their corporate responsibility. It inspires colleagues to do something similar and often encourages them to go one better, leading to healthy competition that helps make the world a better place for us and for our future generations.